Interested in living the dropship lifestyle? The vast majority of making money online seems impossible to some; others question whether these ventures are legit. But dropshipping has been around FOREVER. We have been involved in dropshipping since 1999! 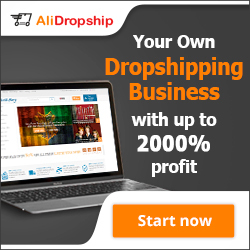 What is the dropship lifestyle? I tell people that if they are interested in working at home, either part time or full time. They should look into starting a dropshipping business. With the low start up cost, you can make back your investment in the first month! then dropshipping is a good option for you! Its also a “scaleable” business. You can start off small with just a few products and grow into a business that dropships hundreds if not thousands of products! All without having to have any inventory! Before getting involved in any kind of business, you should do your research. More and more people have been starting their business with mentors. 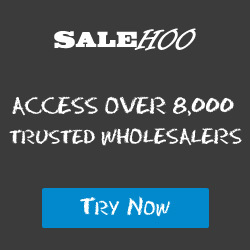 In dropshipping, one of the best places to learn and earn money with dropshipping is Salehoo. For around $80 they not only give you access to 1000s of dropshipping companies, but they have training available o that you can get started right away and start building your business. When you dropship, you are basically buying things at wholesale prices and selling them at full retail pricing. But there is a twist! Instead of having to carry a lot of inventory (and investing a lot of money! ), the companies you work with will ship the customer the products using your business name! You contact the dropship company w/ the name, contact information and items the client wants to purchase. You make $15 on the transaction without ever having to buy inventory, or come out of pocket w/ any upfront money! So how can you live the dropship lifestyle? Once you have decided on what products you want to sell, you need to set up your business. Many people start out as sole proprietors. But once they start making money, they switch to a LLC or Inc to save money on taxes. Then start running your homebased dropship business like a real business. Make yourself a schedule daily for yourself. Making money continuously online is related to your own ability to keep it going consistently. Now I know what you are saying, I thought the dropship lifestyle meant I make my own hours. I’m not forced to work on a schedule. But this is a business. Whether you decide to run it during the day, night or whenever you feel like working. You just have to WORK. Don’t set up your site and think people will come to you just because the site is there! I’m always afraid of “get rich quick schemes” that say no effort needed to start making money. And so should you! Dropshipping is definitely not one of those! But it is one of those businesses that first brings in a nice part time income. Then over time, can REPLACE your current income! But you must work at it. In the beginning, schedule time every day, even if its just an hour or two. To work on your business. Do you need a website in order to run a dropship business? NO! You can set up a website or blog to sell from. But a lot of people use sites like Amazon.com, Ebay.com, and other online shopping portals and set up their shop there! You can LITERALLY get started the same day you find the products you want to sell and get approval from the dropship company. But don’t limit yourself to just those sites. We also use Pinterest, Instagram, and Facebook to sell our dropship products. Use Google to find more places that you can quickly set up shop! Living the dropship lifestyle can be done. It doesn’t require a certain degree. It requires time. It requires you to research your market and make sure that you are offering products people are looking for. And most importantly, it requires that you not be greedy! Its not a good idea to be the most expensive person out there, and even worse, you don’t always want to be the cheapest. You want to sell your products at a reasonable price and provide excellent customer service. You will make money in this industry without having to “gouge” your customers!